Shimoda is an adventure camera bag company designed as a reaction to real world adventures rather than those imagined from a comfortable office environment. 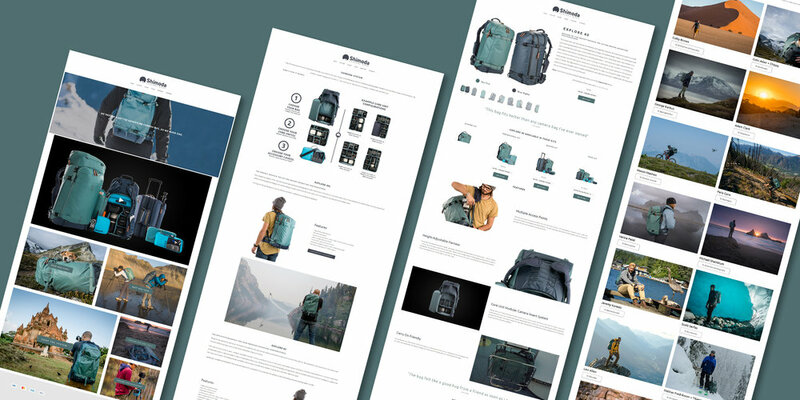 Project: Shimoda needed an eCommerce site that married high-quality adventure photography from its influencers with detailed product information. On the back end, the site needed integration with Shopify. Overall aesthetic - what's the imagery style? How large is their social following? How are bag styles communicated? After researching competitive offerings. I met with the primary stakeholders to determine what success would look like as well as understand any technical requirements. The internal stakeholders were looking for a highly visual site that leveraged the lifestyle imagery of their brand influencers. A technical requirement was that the site's ecommerce had to be built using Shopify buttons for purchase. Shimoda has a fairly small product line, but the way the products interact with one another required clear pathways between the base products and their add-ons and accessories. We started by creating three personas that would encapsulate the three different types of customers that would typically end up shopping for an adventure camera bag. For each of the defined personas I created a journey to address a pathway they might take. 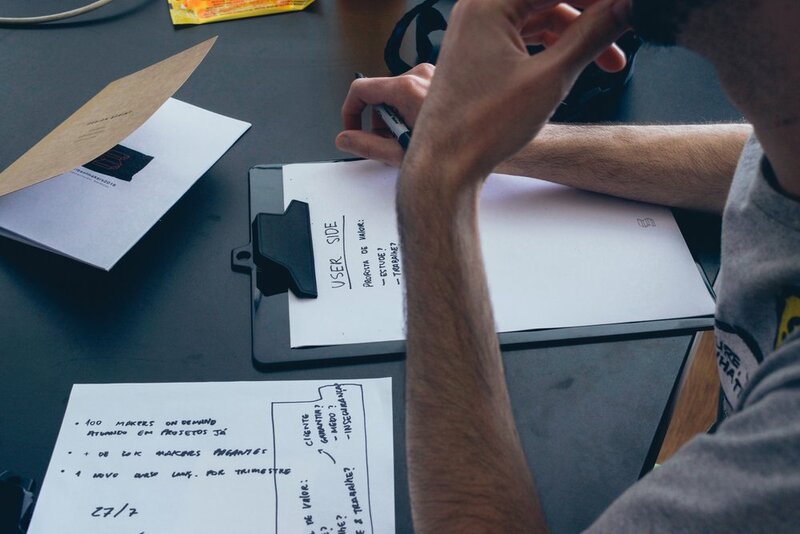 Once the sitemap and user journeys were defined, low-fidelity wireframes were created in Adobe XD, defining the general flow of the content, and the content was collected and edited. A style guide was created to hand off to the developer. Once the site was built I did four 45 minute usability tests to validate our assumptions and identify any areas of confusion. The site was launched to a very positive response from users.